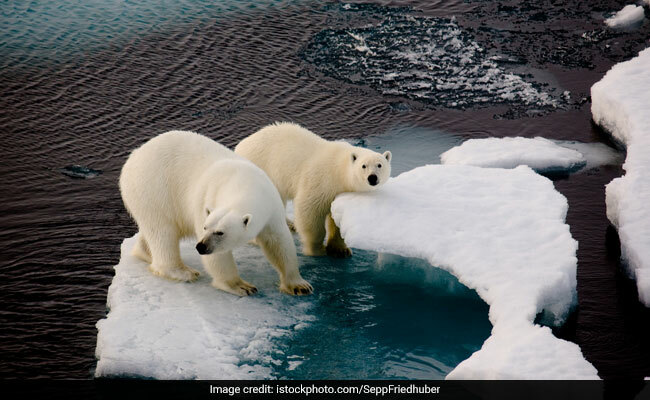 Russian officials have declared a state of emergency in parts of the Novaya Zemlya archipelago after what has been described as a "mass invasion" of polar bears in the islands' human settlements. The bears have been gathering near human settlements in the archipelago in the Arkhangelsk region since December, news agency TASS reported, with at least 52 spotted near the settlement of Belushya Guba. "People are scared, afraid to leave the house, their daily activities are disrupted, and parents are afraid to let their children go to schools and kindergartens", said Aleksandr Minayev, deputy head of the administration of the Novaya Zemlya Municipal Educational Institution. Officials were cited by the BBC as saying that the bears had lost their fear of police patrols and signals used to scare them away. Russian authorities have said that the shooting of polar bears, which is strictly prohibited, could potentially be allowed in extreme circumstances. Global warming has forced polar bears to spend more time on land where they compete for food. The military personnel and employees are delivered to workplaces by special vehicles, while the area is patrolled. "As there are containers with edible waste, stop walking", said a scientist who confirmed that in the area now, as many polar bears as never seen. "The decision to declare an emergency situation on the territory of Novaya Zemlya from February 9 was taken at a meeting of the commission tasked to prevent emergencies and ensure fire safety", says a statement from the region's government released on Saturday. They said that if the now deployed measures are unable to drive the bears away, they may need to be culled. Head of the local administration Zigansha Musin said: 'I have been in Novaya Zemlya since 1983, yet I've never seen such a massive polar bear invasion'.